Goo Hara upset her fan when she gave away the expensive wine that was gifted to her. Her agency, KeyEast Entertainment, responded instead of the actress & singer- defending her against the accusations of being flippant with gifts given to her. The drama began when a close friend of the actress posted a photo of the wine on Instagram. Fans grew slightly confused, asking the friend if there was an engraving on the bottle, which the friend confirmed. 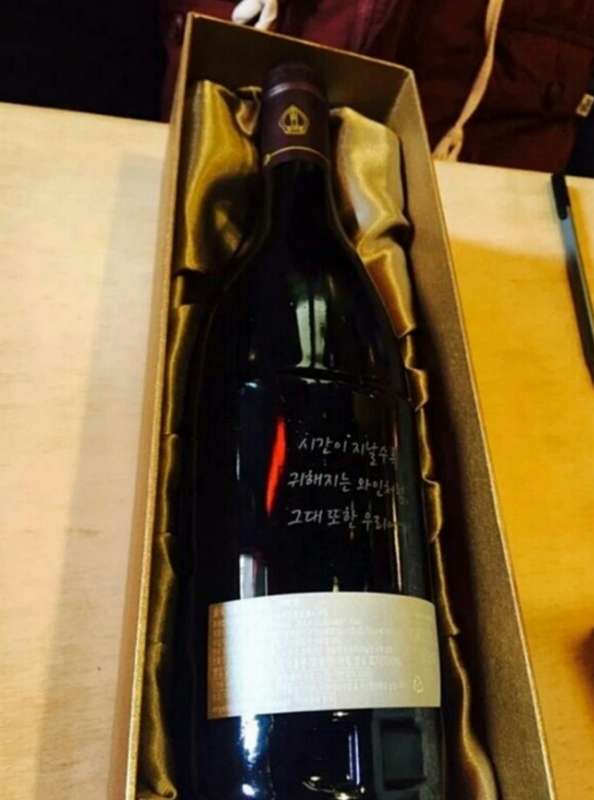 The fan went on, stating the bottle cost 150,000 won (roughly $150) and was a gift from her fans for her birthday. They continued, saying it wasn't the price that bothered them, but the fact she gave it away. KeyEast Entertainment came to Goo Hara's defense, saying due to her being unable to drink alcohol, she gave the wine away to her friend during a meal.